The odor removal experts at Anytime Restoration are professionally trained in proper odor removal services to eliminate unwanted odors for good. 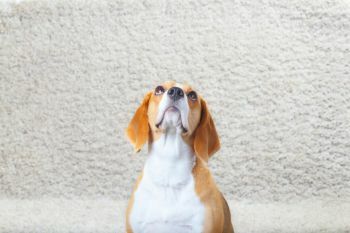 Serving both residential and commercial customers, Anytime Restoration specializes in removing odors from carpets and area rugs, upholstery, furniture, mattresses and more. Whether the smell is caused by fire, smoke, mold, pets or cooking, Anytime Restoration has the best products and methods available to handle bad odor problems. For knowledgeable odor removal, Anytime Restoration acts quickly to rid your home or office of unwanted and unhealthy smell. When bad odors have been absorbed into your furniture, upholstery, carpets or drywall, Anytime Restoration skilled professionals use powerful odor removal methods to deodorizers that neutralize obnoxious, unwanted odors. With over 28 years of effectively removing odors, our skilled restoration team does more than just eliminate the obnoxious smells. Once the source of the odor is located and properly eradicated, Anytime Restoration will thoroughly clean the effected areas. Since different materials have different physical properties, the trained technicians at Anytime Restoration are able to offset the bad odor entirely with several odor removal products and cleaning procedures. Finally, we will seal the cleaned surfaces so the odor no longer remains. When you have foul odors and need expert odor removal, call Anytime Restoration for fast response!